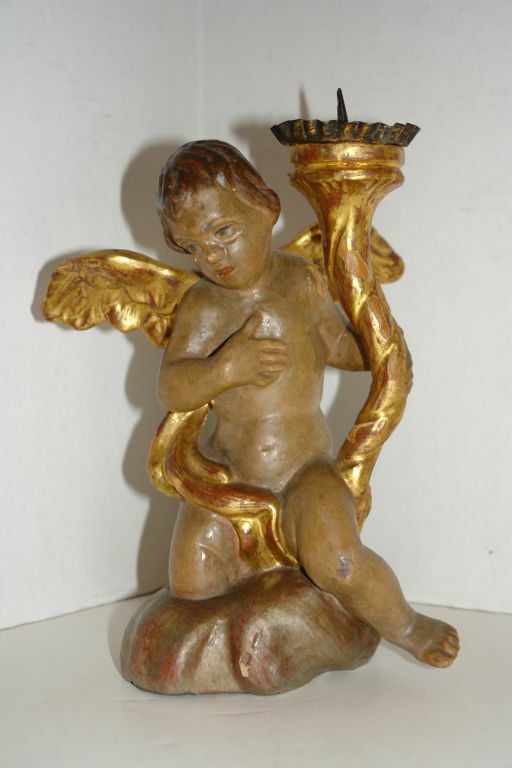 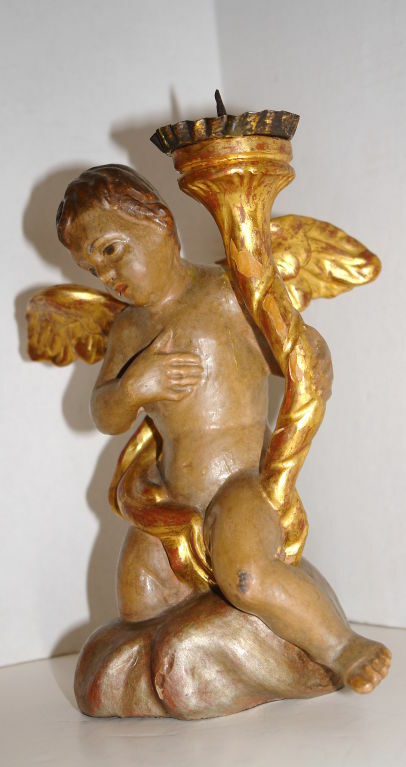 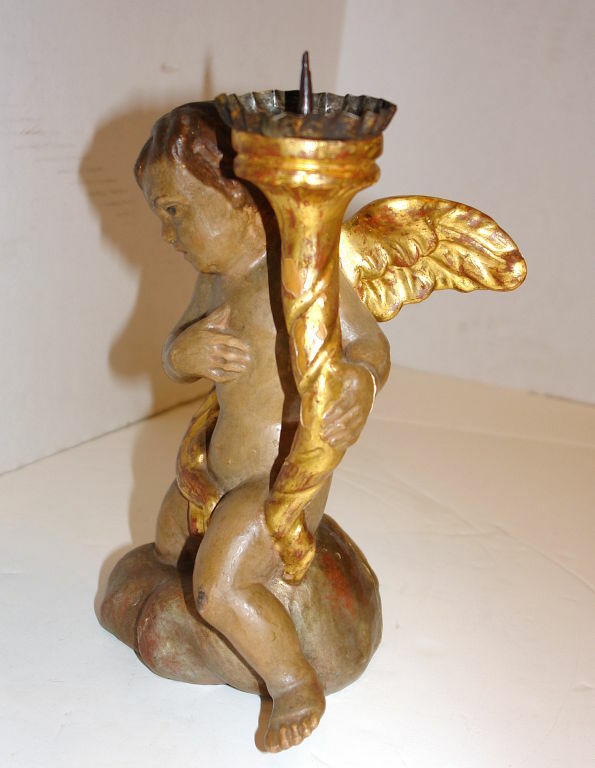 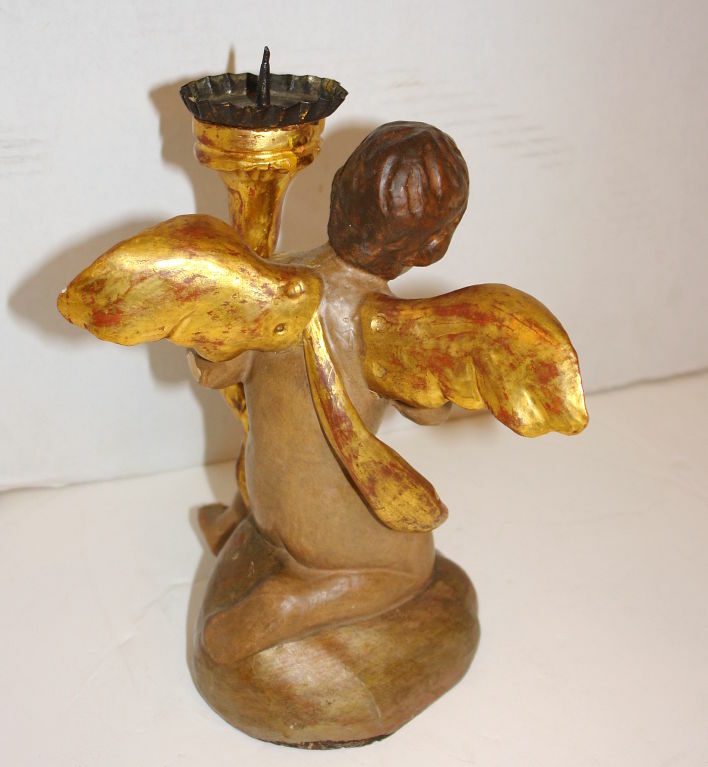 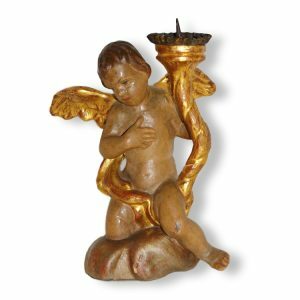 A circa 1920’s Italian carved wood angel candlestick with gilt and painted finish. 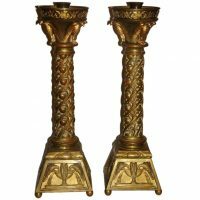 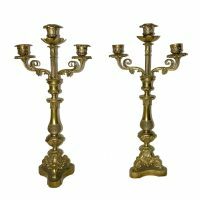 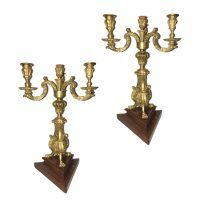 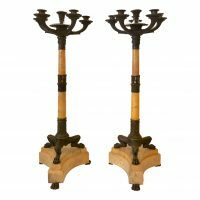 A pair of circa 1900 important French marble and bronze large candelabras with six arms each. 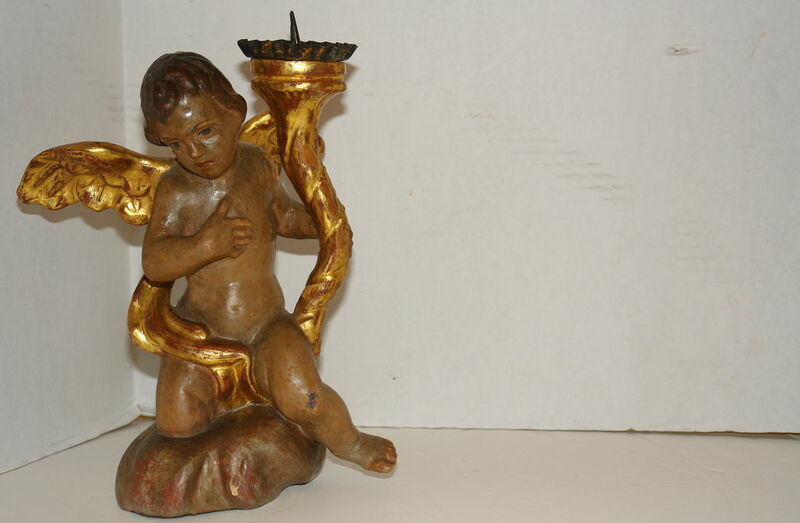 Measurements: Height: 32.5" Width: 13" Depth: 10.5"